The description of any complex phenomenon requires an analysis from multiple perspectives. In this report we have selected two that we think are relevant and complementary: that of the expert and analyst of trends and the of the own subjects or actors. 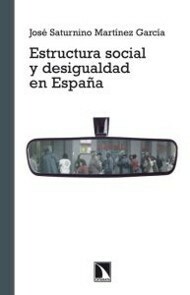 The text of Dolors Reig us about the state of the question, informs us of what is going on above or below of the everyday experience of the users, of the research and studies that set the standard at the international level, the interpretative models that they are consolidating the tendencies that point, the challenges and the opportunities that arise. For his part, Luis Fernando Vílchez tells us how to live and how they recount their experience in daily life in the context of hyperconnectivity and constant presence of the technologies of information and communication the players directly involved in education: pupils, teachers and parents. The gaze of parents and teachers seems to be mostly the prisoner of a vision reactive which makes it hard for them to articulate a strategic thinking achievement of the great potential –not without risk– that, from the point of view of cognitive, emotional, moral, and civic, this new context gives us. We know that change is inexorable; we can take advantage of it or suffer.